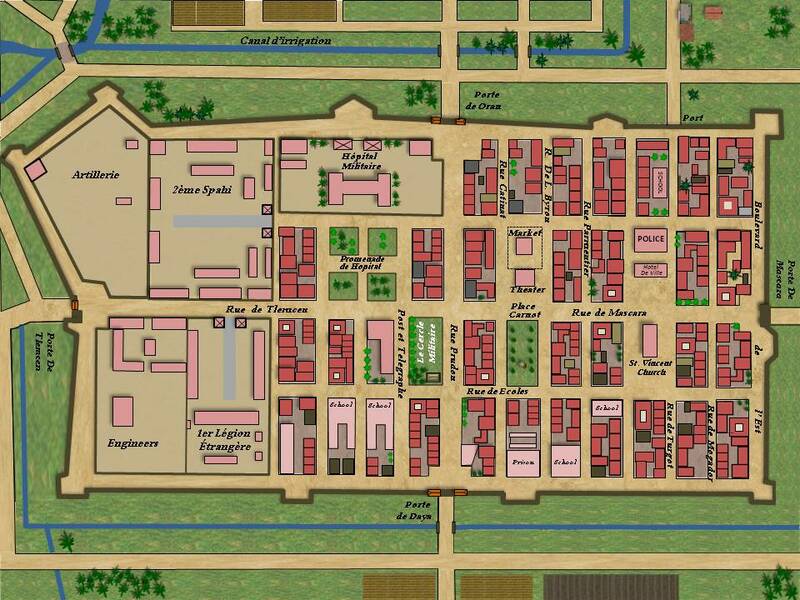 This is the very latest version of my map depicting the Old Town of City Bel Abbes, Algeria, circa 1900. I had fun doing this in PowerPoint and learned a lot of neat tricks. Next up will be a barracks room at Fort St. Jean, Marseille, France.